I really like the continuous updates of the development of your wing. I have a few of your suspension parts and this is really tempting now it’s in its final design. I probably can’t understand exactly how busy you guys are, but I would guess it would be somewhat comparable to Santa on the 24th of December... but do you intend to release the aero data of your parts individually and also their combined effect? For example just the front splitter. And then the front splitter and rear diffuser. Then add the wing. And finally all of the under body aero combined? That is obviously lots of work but would be fantastic to see the evidence. If you look up on this forum you'll find most of the information you are asking for or just go into their website and they have all the data available. They've always done a great job of keeping the community updated and continue to do so. I know they had the data available for individual parts but I haven’t seen the data for multiple parts used together? We also plan to do some videos on the wing with a lot of information in it. A lot went into this wing and there are definitely a lot of questions on social media when we post it, so we want to go through some of these questions and show the features of the wing in a video. I'll work on getting some pictures and more data up in this thread in the coming weeks as well . 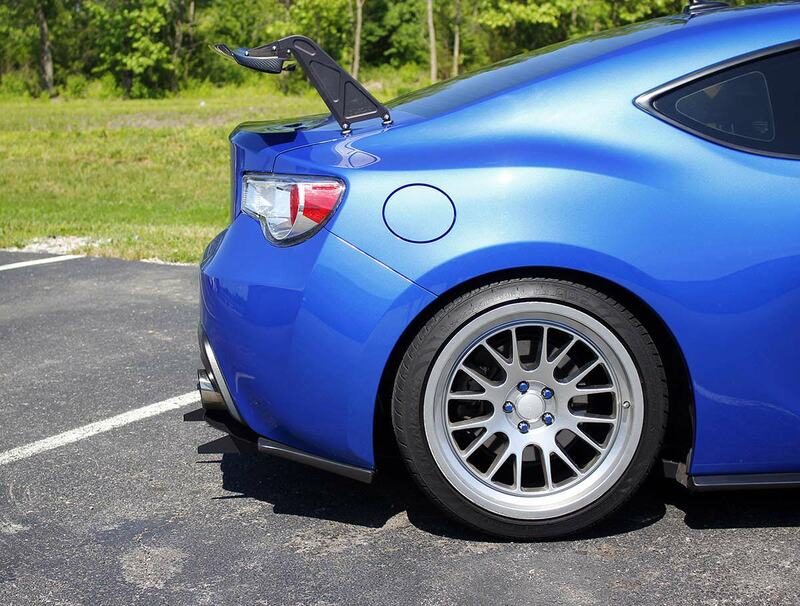 Have you guys tested with the stock spoiler or any spoiler installed while the wing is in place? Yes. Test data with stock spoiler would be highly appreciated. And a picture how it looks in connection with the stock spoiler. Just ordered mine to compliment all of the other Verus parts on my car. Looking forward to putting it to the test. We designed the wing to work around the BRZ spoiler and Perrin gurney-flap (we had CAD for this as we did the analysis for them). It improves performance quite a bit; I'll see what I can dig up as far as numerical data and maybe a graph. I would be interesting to see whether the Wing works better with the OEM spoiler. If not, we could still remove the OEM spoiler. When you guys were developing this did you do any testing with a generic duck bill? Do those show any performance gain with or without your wing? Also, so this post isn't entirely useless, here are some stock wang mockups. Last edited by Hyper4mance2k; 06-20-2018 at 05:26 PM.